Sea buckthorn can be a little confusing for many people who aren’t educated about it and familiar with the different health aspects it has to offer. That’s why we’ve created this buying guide. One of the most common questions we come across is whether to choose berry or seed oil. Others want to know whether to use it topically or internally and the differences between the two. They both can, and should, be taken internally and topically. The berry oil has the majority of the Omega-7 content and outshines the seed oil in most topical applications. 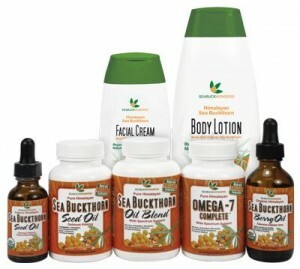 Omega-7 naturally occurs in the skin and sea buckthorn is the most potent plant source of Omega-7 known in the world. The seed oil has the majority of the Omega 3’s and lends itself to internal use. Both have a lot more to offer than their omega profiles but that’s a start and a big differentiation point. Outside of omega’s they have vast nutritional profiles including most known vitamins, a plethora of minerals, strong anti-inflammation properties, and super charged antioxidants, to name a few. Supplementing internally with berry and seed oil is akin to combining a fish oil complex with a multivitamin/mineral, all from one vegan fruit source. 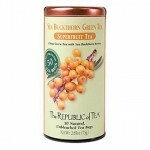 Sea buckthorn products are steadily increasing in the market and new forms are becoming known to the masses. Whereas the oils and soft-gels were the stand by for quite some time, now skin care, hair care, sea buckthorn teas, juices, and even body oils are making it on shelves. As stated earlier it can be a little overwhelming, hence the purpose of this buying guide. We hope that it serves you well. Please leave a comment if you have a question and we’ll do our best to help you. Which is Better for the Skin: Sea Buckthorn Seed Oil or Berry Oil?